Members receive 20% off The Motley products! Use promo code at checkout. 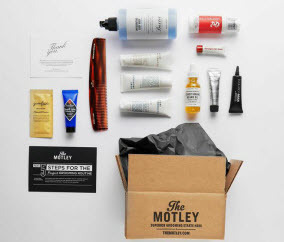 Upgrade your grooming routine with The Motley! The Motley offers a variety of men's grooming products, each thoroughly tested by their team. Their commitment to quality and personalized approach can help everyone get the result they are looking for.